In just over an hour, the ALCS will resume from Anaheim as the Angels attempt to make their arrival to the series. The Yankees have a 2-0 lead thanks to some timely hitting, and some inept defense from the opposition at the most inopportune time. Postseason legend Andy Pettitte takes the hill tonight to face off against Jered Weaver. This is obviously a must win for the Angels. There’s now way they could come back from being down 3-0 with the Yankees having home field advantage. Although Weaver is having a great season, New York’s offense can only be held down for so long, so the Angels will have to outscore them and probably even need a 4+ run advantage going into the ninth so the meltdown machine, Brian Fuentes, can preserve a victory and get them back in the series. Since this is doubtful, it’s likely the Yankees will unofficially put the Angels away, and the bandwagon fans of Orange County will quickly go back to forgetting the Angels even exist. On the National League side, the other Southern California team will resume play in Philadelphia, where the Phillies hold a 2-1 lead after last night’s blowout. While tonight’s game isn’t quite as urgent as for their SoCal counterparts, to go down 3-1 would be a huge hole to have to dig out of. If there was ever a game the Dodgers should be able to take, it would be Game 4 against the capable but unsure Joe Blanton. Blanton is usually solid, but we all know he’s prone to give up the longball. Look for the Dodgers to even the series behind some long bombs from Manny and company. When the 2009 schedule was released, no one would’ve been surprised to look at this game and guess that it would be a 5-0 team versus a 2-2 team. The thing is, most would’ve expected the Chargers to be undefeated and leading the division. Instead, while they’ve been underachieving, the Broncos have excelled to a 5-0 start, the first time they’ve done so since the 1998 season, where they rattled off 13 straight wins to start the year en route to a Super Bowl victory. Tonight will be a battle of quarterbacks, as the overrated Philip Rivers has just 9 more passing yards than Kyle Orton, whom you wouldn’t necessarily say was underrated, but he’s better than the blind quadrapalegic the Chicago media made him out to be. It’s hard to say how he’ll fare tonight in a hostile environment under the bright lights of MNF, but one thing is for certain. Tonight is the night we’ll find out if the Broncos are for real, and we’ll also see if the Chargers run under it’s current nucleus has run its course. Let’s be honest here, Doin Work isn’t exactly the foremost authority on the hockey world, but a big game is going down at 7pm Eastern time at Madison Square Garden. 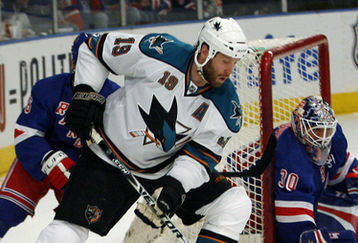 The 7-1 Rangers, who are tied with Pittsburgh for the best record in the league, will host the San Jose Sharks. San Jose has struggled to a 4-3-1 record, but they’re coming off a season in which they had the best record in all of hockey. If they want to still be considered a contender, tonight’s game will be a huge proving ground for them. Sharks’ forward Dany Heatley scored 10 points in his first four games with the team, but is scoreless in the three games since. He’ll need to get back on track if the Sharks are going to stand a chance. 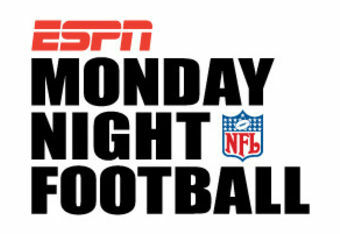 I can’t predict what will happen, or even really care for that matter, but keep the Versus Channel in your rotation tonight when MNF and MLB are both at commercial.